Salvation And Survival: Do You Believe Your Children Are Yours? Do You Believe Your Children Are Yours? If you answered "Yes" to this question, then you don't fit the new paradigm of parenting as promoted by Melissa Harris-Perry, MSNBC television host and political commentator. Ms. Harris-Perry, along with her feminist progressive cohorts, feels that "we have to break through our kind of private idea that kids belong to their parents or kids belong to their families, and recognize that kids belong to their communities." Indeed, we are all supposed to adopt a "collective notion" about our kids. Just what does that mean? Well, as reported in an article on the Cybercast News Service website, the Progressive view, as promoted by Ms. H-P, is that we need to invest more in government educational programs. In fact, Lindsay Burke, of the Heritage Foundation says that the Left would like to see "preschool programs starting with infants and toddlers, expanding programs like Head Start to include three-year olds and younger children; all with the express purpose of growing government intervention in the lives of our youngest Americans and the American family." I can remember a time when teachers and the school system partnered with parents in a mutually approved education plan. Now parents are being increasingly isolated and the State sees itself as the Collective Parent. That does not bode well for the the influences upon our children. All you have to do is read Ms. H-P's defense of her misguided comments. On The Huffington Post, she is quoted as saying, "This isn't about me wanting to take your kids. This is about whether we, as a society, expressing our collective will through our public institutions, including our government, have a right to impinge on individual freedoms in order to advance a common good. And that is exactly the fight that we have been having for a couple hundred years." There you have it! And I can't believe they are bold enough to admit it! It's all about the "collective good" versus "individual freedoms" AND the right of the State to impose their will on individual citizens -- especially when They determine it benefits the collective, as a whole. This must not be allowed to advance any further than it already has! And that's why Michael Farris, a lawyer and Chairman of the Home School Legal Defense Association (HSLDA), has formed ParentalRights.org and is raising support for a Parental Rights amendment to the Constitution. 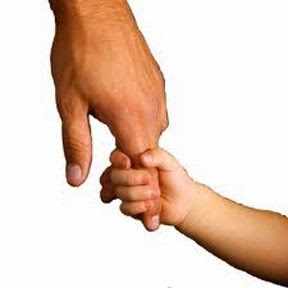 Currently, Parental Rights are recognized as implied rights. This amendment will allow Parental Rights to become specifically enumerated in the text of the Constitution. In addition, the Amendment would guarantee the following to parents: 1) Parents have a right to make reasonable choices for their child in public schools, such as opting their child out of classes the parents find objectionable. It does not give parents any power to dictate curriculum or other choices by the school for the student body at large. 2) While Parental Rights do not include a right to commit child abuse or neglect, they are due the same high legal protection as other fundamental rights. 3) The amendment will not apply in cases where a parent's action or decision would end life. This exclusion was a necessity to avoid the appearance that the PRA would affect the abortion issue either way, which would make its passage a political impossibility. 4) Neither the Senate's treaty power, nor the courts, can subject parental rights to international law. Furthermore, federal courts would not be able to impose harmful principles of international law on parents, because the rights granted in the text of the Constitution override and overwhelm any conflicts between parental rights and international law. I wish Mr. Farris luck in getting this Amendment before Congress. As the attorney for the Romeike family, the German home-schoolers who sought asylum in America, he has championed a parent's right to educate their children according to their religious beliefs. However, the Supreme Court declined to hear the family's appeal to the U.S. Justice Department's attempts to deport them back to Germany, where they risk losing custody of their children if they continue with their home-schooling. While the Supreme Court's decision does not bode well for the chances of a Parental Rights Amendment, Mr. Farris confirmed to Fox News earlier this week, that the Department of Homeland Security had granted the family “indefinite deferred status." That means the Romeike family, who claim the German government is persecuting them because they want to raise their children in accordance with their Christian beliefs, can stay in the United States without the threat of being forced to return to their home country. And that decision, says Mr. Farris, "is a miracle from God." So maybe Mr. Farris is working in miracle territory, and he can somehow convince enough members of Congress that the liberty of parents to direct the upbringing, education, and care of their children is a fundamental right. For the life of me, I cannot understand how it can be considered anything else. It is the essential nature of being a parent, and a God-given responsibility. No government should interfere with that! Proverbs 1:8-9 "Hear, my son, your father's instruction, and forsake not your mother's teaching, for they are a graceful garland for your head and pendants for your neck."